What is it that makes people successful, well…successful? Is it just the perfect combination of knowledge, luck and knowing the right people? Or is it more than that that makes someone successful? 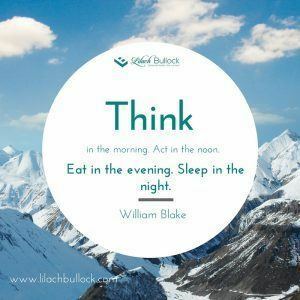 In this blog post, I wanted to explore what makes successful people tick, what their habits are, and to see if these habits are in any way related to the achievements realized. Obviously, not every successful person will have the same patterns and lifestyles – but I will try to go through some of the most common habits associated with successful people. Of course, we could also go the philosophical route, and try to define what success even is, but for the purpose of this blog post, let’s equate success with those who know what they want out of life, and grabbed at it with both hands, and sometimes even their feet. You don’t need to be a multi-millionaire to be successful in your field. You just need to be the best that you can be at what it is you want to do – a thought leader, a champion of your chosen field. My hope is that this blog post will help you find some motivation and inspiration to better yourself in your career, and eventually become more successful. 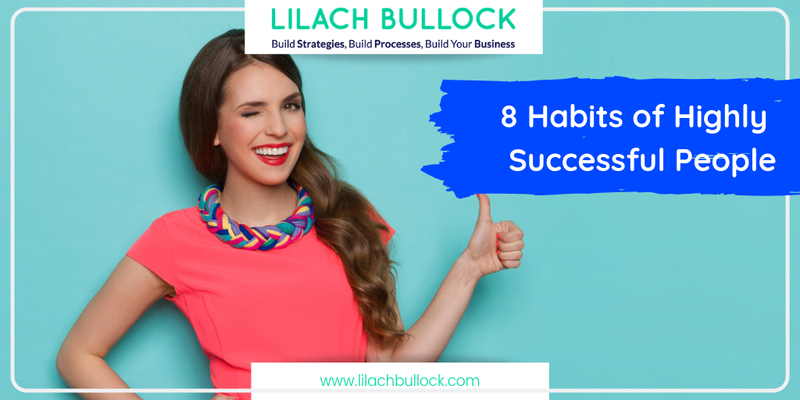 So let’s now go through some of the habits that you’ll often encounter with successful people – and how to apply them yourself. To sleep – or not to sleep? You know the saying, “there are not enough hours in a day”? I completely agree with the statement, especially if you’re planning to actually sleep at some point, and maybe even squeeze in a quick dinner with the family. So how do successful people do it? How do they even find enough time to do all that needs to be done just to be kept afloat, and even more so, successful? The secret is pretty simple…less sleeping, more working. There won’t always be a need for an all-nighter, but a good way to start is to simply wake up an hour early. Oh, and don’t even think of hitting the snooze button; I’ve learned over the years that all that extra 5-10 minutes of sleep do is make you sleepier. So when you set up a time to wake up, keep to it, no excuses. That extra hour, especially in the morning when it’s quiet, can help you put your thoughts in order and get your day started in a positive way: no rushing, no panicking and no pressure. The need for sleep unfortunately differs from person to person. While some are good to go on 4 hours of sleep, others would collapse after a week of a schedule like this. It’s important to know your limits, and not push it. Some simply can’t concentrate or do good work when they’re sleep-deprived; it doesn’t mean it’s a bad thing, just that your body is different. 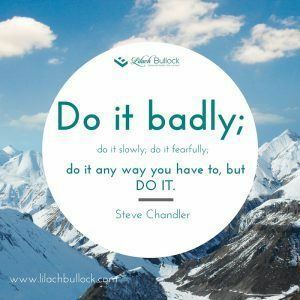 So while it’s good to push your boundaries a little, don’t overdo it, or else you might find yourself in a hospital bed. Reading has a lot of benefits. Sure, it takes a lot of time to go through a 500-page book on business practices. Even keeping up with news from your field of work would take hours. No matter how time consuming it may seem, reading is very important, and certainly a habit of many successful people. Reading means knowledge, and the more you read, the more that knowledge will grow. And with more knowledge, come better results, better understanding of your work, new interesting ideas that will help you get ahead and so much more. The world’s most successful people are avid readers – Bill Gates, Mark Cuban, Warren Buffet, all of them are huge readers. Buffet goes so far as to read 500 pages a day, whether it be newspapers or books. Sure, he is probably super-human, and most of us would not be able to read the length of a Game of Thrones book (well, almost a Game of Thrones book….) in a day and still have time to do some work, but it’s still an important lesson to learn. You can try reading whenever you’re on the move. If you’re taking the train to work, spend your time reading. If you’re driving for hours, download an audiobook and listen on the way. Technology today makes it very easy to keep up with reading, even with the busiest lifestyles. Fact is, it also makes it easy for people to continuously learn new skills and develop careers. Educational institutions, with courses being offered such as an online masters in education, have made it more accessible to further studies even while at home. It’s not an easy task to make sure you’re healthy while also doing your best to get to the top, and stay there. We’ve already established that you’re going to be sleep deprived at this point, and as you get more successful, and subsequently busier, there will bee even less time to take care of yourself. It becomes easier to forget about your health, to pass on lunch because you have an important meeting, or to stay 20 hours a day at the same desk, staring at the screen, and not moving an inch. I’ve always struggled with properly taking care of myself over the years, especially when it comes to eating habits. It can get difficult to find the time to shop for and cook healthy food; especially when you consider how much easier it is to just grab some chocolate while working, or munching on some crisps as you drive to your next meeting. And if finding the time to eat something healthy is difficult, then finding the time to exercise seems downright impossible at times. It’s important to look at this time as time for you – sports help you reduce stress, help you clear your mind and keep you healthy. Successful people like to be prepared. Before you start your day, you should already have a clear schedule in your planner. Another idea is to set yourself with some daily goals that you want to achieve by the end of the day. This helps you be more productive as well as more motivated. Being successful (or rather maintaining a successful career) can mean a lot of stress. One of the ways successful people deal with stress is by simply meditating for a little bit, every day. It helps clear your head, reduce stress, helps you replenish your energy and perhaps even help you come up with useful ideas. A lot of successful people, such as Oprah and Steve Jobs, swear by meditation, and even a 20-minute session every day can have a huge impact on morale, and even your concentration abilities. The great part about meditating is that you can do it from the comfort of your own home – or office – so whenever stress and anxiety seem to be enveloping you, take some time off to simply focus on yourself and your mental and physical wellbeing. Try getting a book on mindfulness, as it has a lot of great, simple exercises that you can do yourself, wherever you are, whatever you’re doing. Successful people don’t get to where they are by simply accepting what is happening to them. They are persistent. With themselves, with others, they always keep pushing until they get what they want. There are times in everyone’s lives where you just don’t want to keep going. Don’t want to work, don’t want to think about work, don’t want to even see their daily planners. But sometimes you just have to push through it; take a break if you must, but after a few minutes, get back to it. Other times, you might not be getting the inspiration you need for a new project or idea. It’s easy to use that as an excuse to quit, or leave it for now. But you can’t always wait for the muse to come to you; sometimes you have to get her to you by force, if necessary. Try doing something that usually helps inspire you, such as reading, take a walk to clear your head, or anything that might inspire your creativity and then get back to it! I think that’s a very true statement. The only way to get the things you’ve dreamt of is to do all you can to get them, no excuses. A successful person’s workweek doesn’t end at 5 pm every Friday. That’s not to say that all successful people are working full time on weekends as well (although I’m sure some do! ), but that their discipline, work ethic, or their plans are still a constant presence, even on Sundays. Sometimes there will be important things to do on weekends, but other times, it’s okay to also take some time for yourself. Take Saturday to enjoy yourself – whether it’s spending time with the family, a favorite hobby, a relaxing sport, it’s important to sometimes let go of every ambition, every issue that needs to be resolved. But then on Sunday, take the time to sit in silence, and go through the past week and what you’ve achieved, and then think of what you want to do the next week. Make plans, set up a clear schedule and replenish your energy, and you’ll be good to go for another week of success. Successful people are often very in control of their emotions and their desires. They practice discipline in all areas of their lives, because that’s what gets you far. If someone is easily distracted, it makes it much more difficult for them to achieve all their goals in time. It’s easy to get distracted, or to wish you were doing something else, anything else, rather than being in front of your computer for 20 hours, for example. But if you want to get far, to achieve all of your goals, you can’t let yourself fall victim to distractions. It’s a question of discipline, and while to some it comes more easily, others have to teach themselves how to stop. What do you think makes a person successful? What other habits do successful people have – and are they a part of the cause of their success? Let me know what you think! What an inspirational blog! I love every part of it and we tend to forget about some obvious ones like schedule, reading or health! I also was every impressed that you’ve mentioned mediation! Thank you so much – I will try to be the best at what I do! Thanks Eva 🙂 Yes that’s so true. I really recommend Headspace for meditation, it’s such a great app and makes it so much easier to do. And I so agree with everything especially health and the schedule. They know how fruitful it is to stick with a schedule at all cost. And dang… Health is too important. And for them, they put up many efforts than the one working with an average job.